Free maps can be printed in web browsers such as Internet Explorer, Firefox, and Chrome. Due to the size of the browser window and limitations of page size, some of the map will most likely be cut off. Premium/Pro subscriptions allow for a pdf or image to be automatically generated for printing on paper larger than 8×11. 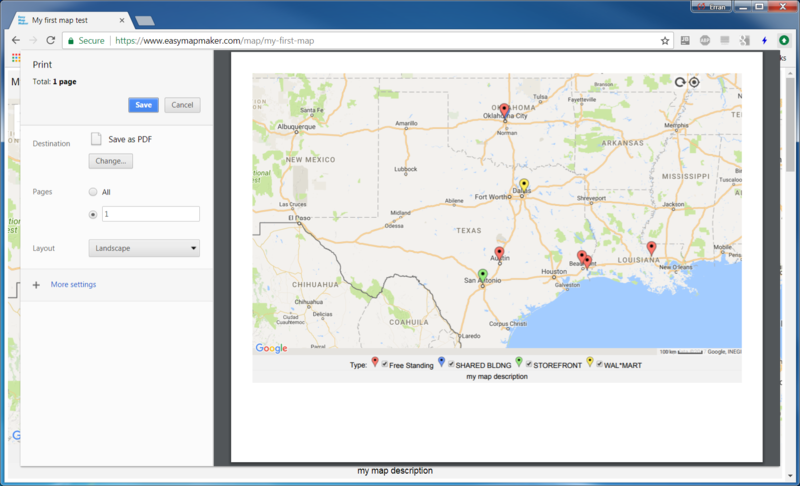 It works fine in chrome and firefox with the map (https://www.easymapmaker.com/map/my-first-map).